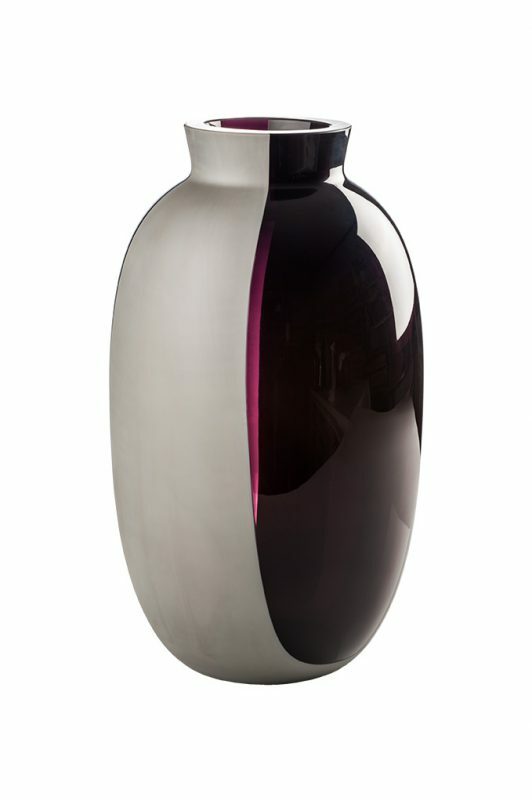 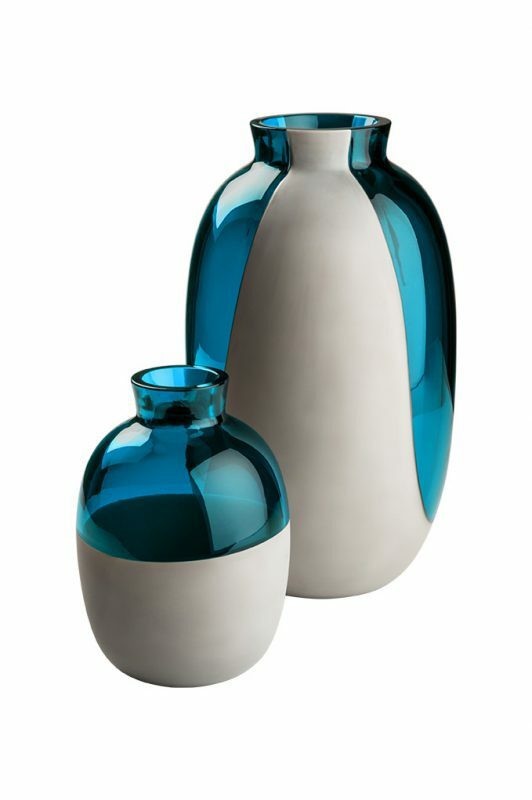 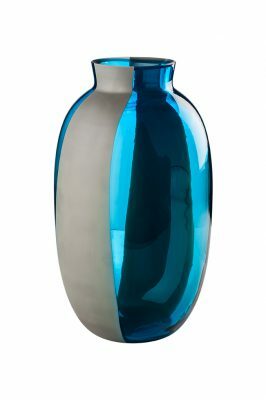 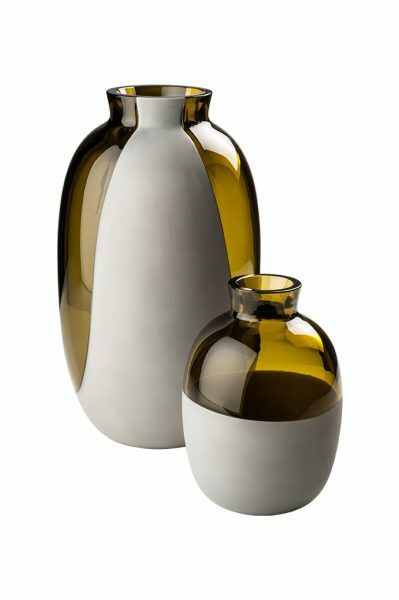 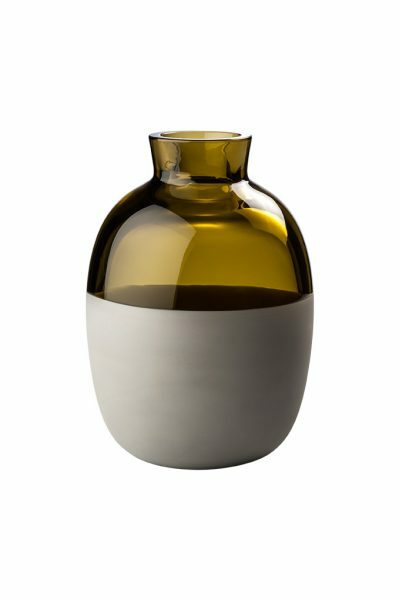 The series of vases highlight strong contrasts between glasses of opposite attributes, brilliantly transparent colors, like acquamarine, violet and bambu set the background for applying grey colors onto an opaque glass (cement). This intertwining of colors proves to have a strong graphical compound that plays with transparency and opacity, emphasizing visible perspectives through splits in opposite sections. 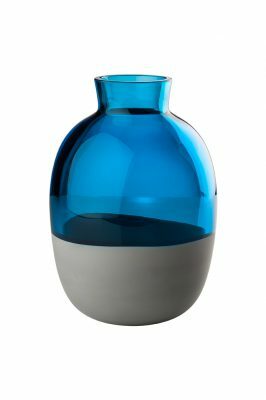 Sandblasting opaque colors make them almost turn into a raw material and antique looking one too, standing in contrast to the light brilliant colorful glass. 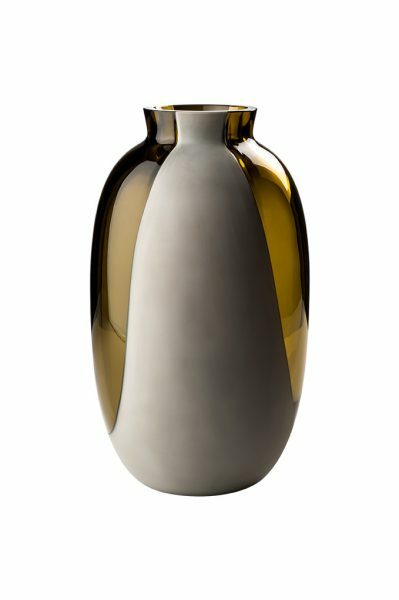 This composition brings up an element of earnestness as well as an expression of timelessness, iconic like a tribal mask. 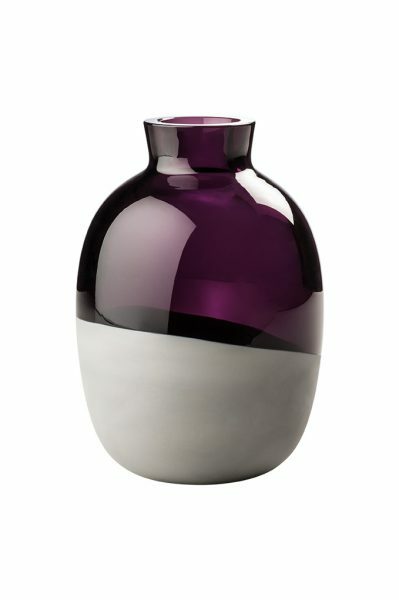 It’s name Koori comes from the Australian Aborigines’ language. 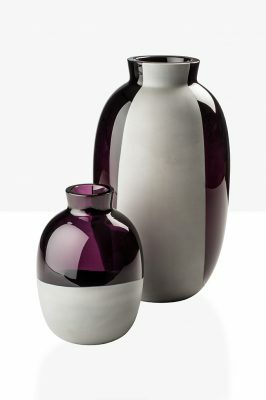 Produced in collaboration with Venini.